At any first meeting with an owner considering the sale of their company, we are inevitably asked “How Long will it take to sell my company?”. 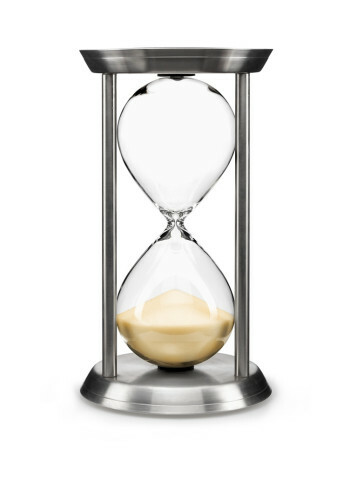 The length of time it takes to find a buyer very much depends on the approach taken by your broker. Using the active contact approach favoured by Selling Private Companies it takes six to nine months to sell a company. We looked at our own transactions over the last 10 years, and found that the average time from instruction to closing was 7.6 months. There are exceptions to any rule, but to sell in six months the process has to run like clockwork. How Does A Six Month Process To Sell A Company Break Down? Key tasks in the first month are preparing the sales documentation and getting financial statements in order. This can take longer than a month if accountants or bookkeepers are slow to provide information. During this first month our researchers will also be preparing a list of potential buyers. Months 2 and 3 are typically taken up with contacting potential buyers, sending out sales details, and answering follow up questions. Meetings will also be organised with potential buyers that show a strong interest. This process can easily stretch to three months in busy periods of the year, or holiday seasons. Offers typically start to come in during the fourth month. This is rarely a straightforward process. There will usually be extended negotiations in an attempt to move offers up, or improve deal structure and payment terms. If there are several comparable offers it may be necessary to organise a blind auction. This takes up even more time. audit your financial records. This is an extremely detailed examination and will inevitably lead to further information requests. Expect financial due diligence to take at least a month. In parallel with the financial due diligence buyers will want to meet with you to get a better grasp of commercial and operational issues. This part of the due diligence is a common cause of delay if you have not prepared documentation in advance, or are slow to respond to requests for more information. It will take at least a month, from the end of due diligence, for the lawyers to finalise the legal documents. Probably closer to two months if the buyer has found problems during due diligence, and wants to negotiate protections in the contract. It is important to use a lawyer that specialises in company sale and purchase contracts. Lawyers that specialise in this type of work are used to working to the tight deadlines, and understand that deals that get delayed can start to unravel. In reality the process rarely runs smoothly enough to complete in six months. Sellers take longer than a month to pull together information for the sale documents. Meetings get delayed and price negotiations drag on. Banks are slow to approve funding, and the legal teams get bogged down in details. If you want to be sure of meeting a particular retirement date, allow for the process to take nine months.